Rhythms Home Care provides the extra help that you or your loved one needs in the comfort of their own home. Each companion is carefully matched with the intent of becoming an extension of your family. Everyone on our Home Care team is bonded and insured and can provide personal care, transportation, light housekeeping, meal preparation, shopping and errand assistance. Additionally, some medical services such as medication management and catheter care may be provided. Expanding opportunities and removing limitations is the cornerstone of successful aging. Rhythms Home Care Services is owned by Christian Living Communities - a mission-driven, locally owned and operated company. We resonate with your lifestyle and are dedicated to supporting your personal freedom and quality of life. We draw on more than 45 years of experience with a reputation for excellence in older adult services. You can also call 303-757-2300 to learn more. All team members are carefully screened, bonded and insured. 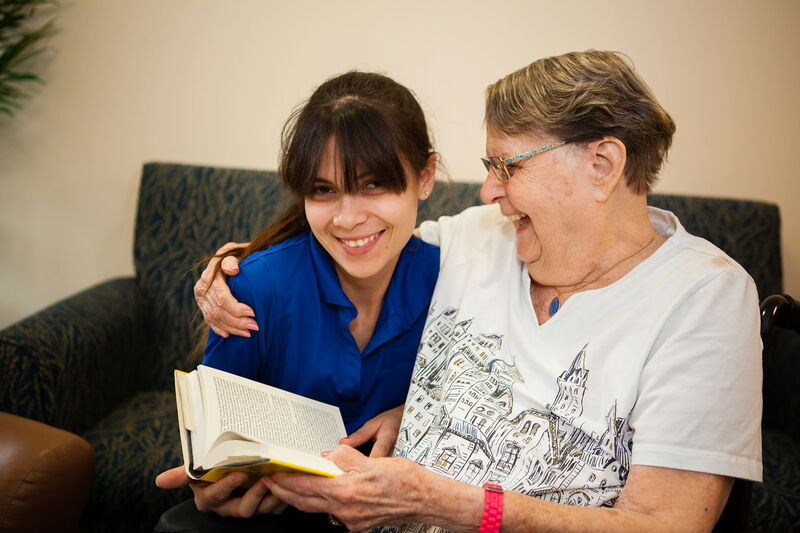 They are committed to providing compassionate, quality senior care at home. It’s not just about the quality of care and services, it’s also about the delivery. Our team members are committed to core values of love, compassion, respect and integrity. Caring relationships are central to our work culture, ensuring that support provided comes from the heart. Our services are personalized to accommodate changing needs. There are no contracts or long-term commitments. Private pay and long-term care insurance are accepted. Contact us today to schedule your free in-home assessment. 303.753.4593.